Hilton Worldwide has confirmed that it will take over the management of eight Mint Hotel properties, rebranding them Doubletree by Hilton and Hilton Garden Inn over the coming weeks. Five Mint properties - in Amsterdam, Manchester, Leeds and Glasgow, and two in central London - will become Doubletree by Hilton; while the remaining three - in Glasgow, Bristol and Birmingham - will become Hilton Garden Inns. The announcement follows the takeover earlier this year of Mint Hotels by private equity group and Hilton owner Blackstone Group, and sees Hilton grow its portfolio to over 100 properties in the UK and more than 200 hotels and resorts across Europe. 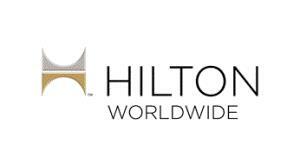 Patrick Fitzgibbon, Hilton Worldwide's senior vice-president of development for Europe and Africa, said: "Hilton Garden Inn and Double Tree by Hilton brands have tremendous traction across Europe and further demonstrate the momentum we have behind our great global brands. "These eight fantastic additions to our company’s portfolio will promptly join our Double Tree by Hilton and Hilton Garden Inn brands with a fast-track transition programme that aims to see all hotels fully integrated into our Hilton Worldwide systems in the coming weeks."